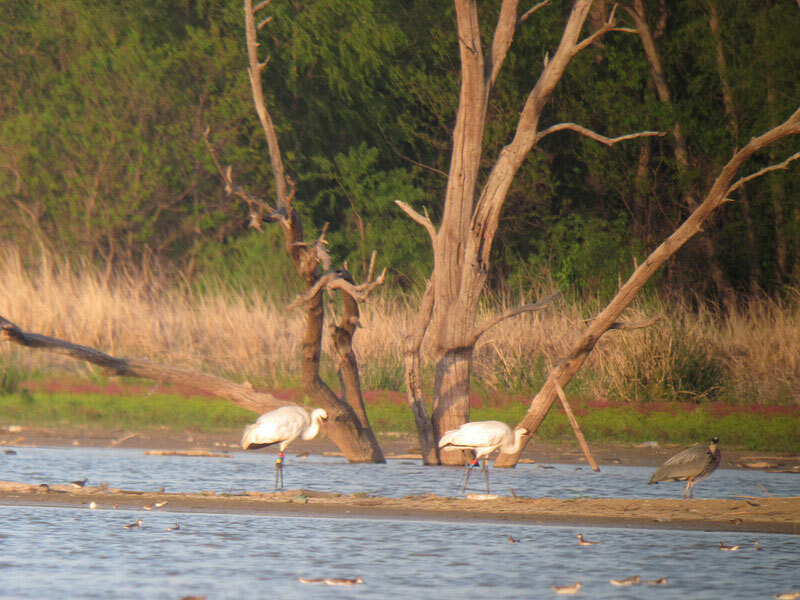 Whooping Crane - Dallas Co. May 2, 2013. Same birds as the Dallas Co. images below. Both birds have GPS transceivers and the female also has a VHS transceiver. 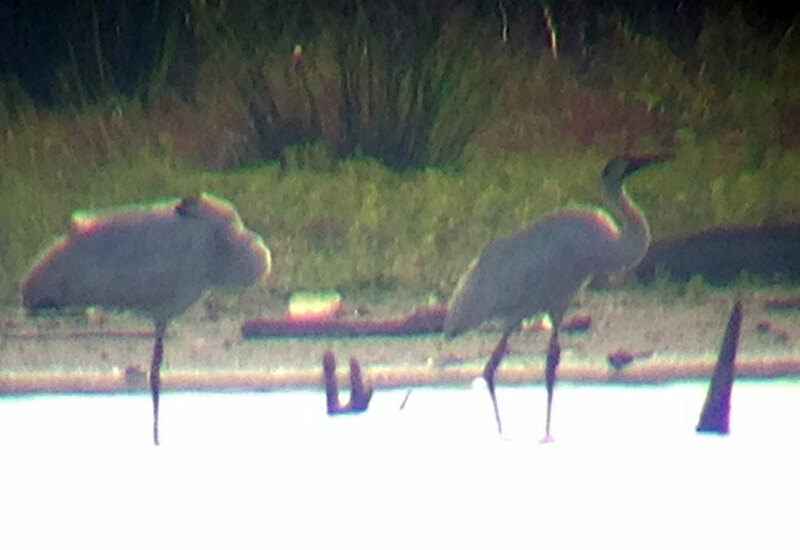 Whooping Crane 1 (confirmed 2012 juvenile female): L= yellow/blue, R=red/blue. Whooping Crane 2 (confirmed 2012 juvenile male) L=yellow/blue, R=red/blue/yellow [GM]. Whooping Crane - Dallas Co., (Wynne-Joyce Park, Lake Ray Hubbard) April 29, 2013. Whooping Crane - Dallas Co., (Wynne-Joyce Park, Lake Ray Hubbard) April 28, 2013. 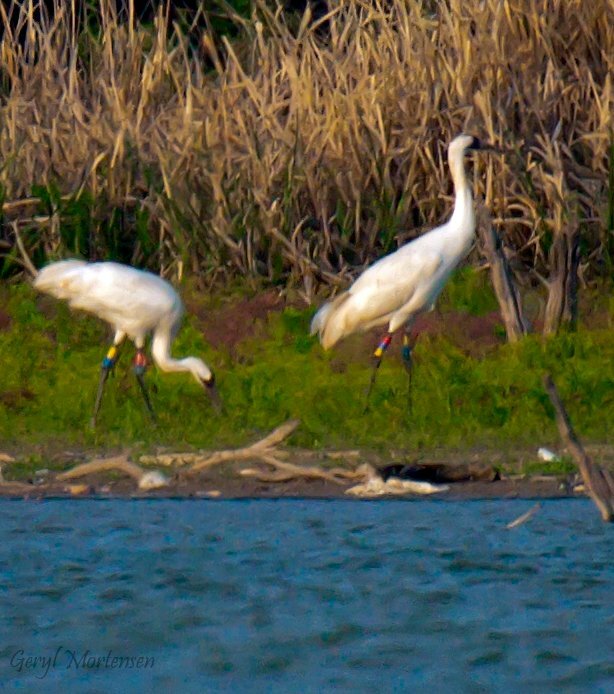 Whooping Cranes at Deussendale Ranch, Denton County, November 16, 2003.